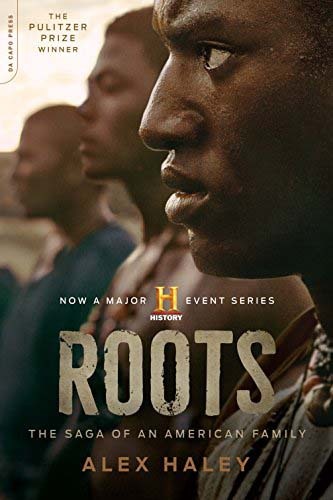 Roots – both the book and the original mini-series, as well as the 1988 update (Roots: The Gift) and the History channel remake of 2016 – have been cited for their initial and enduring impact on American literature, conscience, and culture. Alex Haley grew up hearing stories from his grandmother about the family history. She spoke of an ancestor named Kunta Kinte from Gambia, Africa. As an adult, the author set out for Africa to trace his family lineage to its origins. Remembering the oral tradition of his grandmother, he sought out a “griot”. Griots are “oral historians trained from childhood to memorize and recite the history of a village.” A griot recited the history of the Kinte clan and told of a young man who, “one day went away from his village to chop wood to make a drum… and he was never seen again.” That young man, believed to be Kunta Kinte, “was never seen again” in the village because he had been abducted and brought to America to be a slave. The story of Kunta Kinte launched the Roots saga, covering seven generations. So vividly and grippingly did Alex Haley tell this story that it won him the Pulitzer Prize for Literature. Roots was also made into a television mini-series that drew over 130 million viewers of all racial backgrounds. It was said that the film opened the eyes of many white viewers to the horrors of slavery and created empathy at a level not known before.